The first CubeSats of the planned QB50 satellite constellation have applied to the IARU for frequency coordination. QB50 has the scientific objective to study in situ the temporal and spatial variations of a number of key constituents and parameters in the lower thermosphere (90-320 km) with a network of about 40 double and 10 triple CubeSats. These, university built, CubeSats will be launched into a 320 km circular orbit, will be separated by a few hundred kilometres and carry identical science sensors. The sensors will monitor parameters that will greatly increase our knowledge and understanding of this little explored region of the E and F layers of the Ionosphere. QB50 will also study the re-entry process by measuring a number of key parameters during re-entry and by comparing predicted and actual CubeSat trajectories and orbital lifetimes. 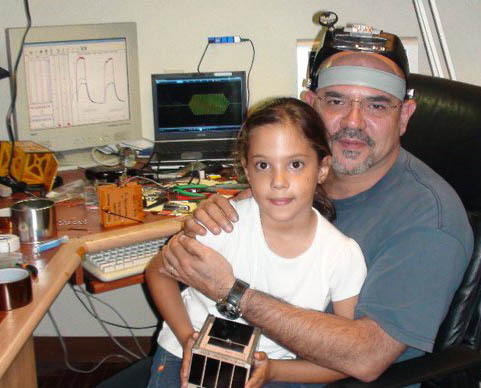 Masa JN1GKZ reports on four CubeSats that are being sent to the International Space Station on August 4, 2013. The Japanese space agency JAXA has announced that four CubeSats will be deployed from the ISS by the JEM Small Satellite Orbital Deployer (J-SSOD). 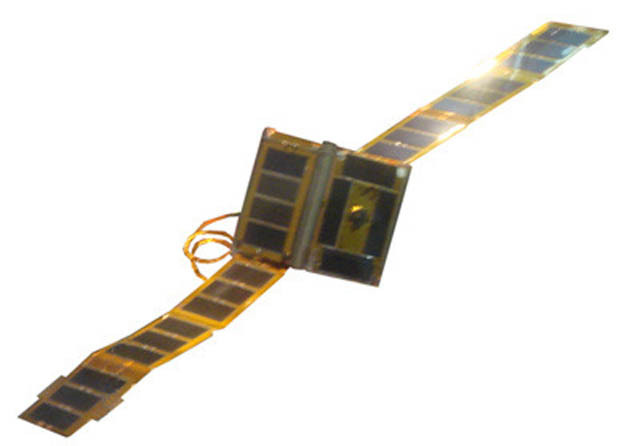 • ArduSat-1 and ArduSat-X 1U CubeSats developed by Nanorack, NanoSatisfi. ArduSat-1 437.325 MHz 9k6 MSK CCSDS downlink. ArduSat-X 437.345MHz 9k6 MSK CCSDS downlink. All the satellites should be sent to the ISS by the HTV-4 launcher on August 4, 2013. The four CubeSats are expected to be deployed from the ISS sometime between October 2013 and March 2014. 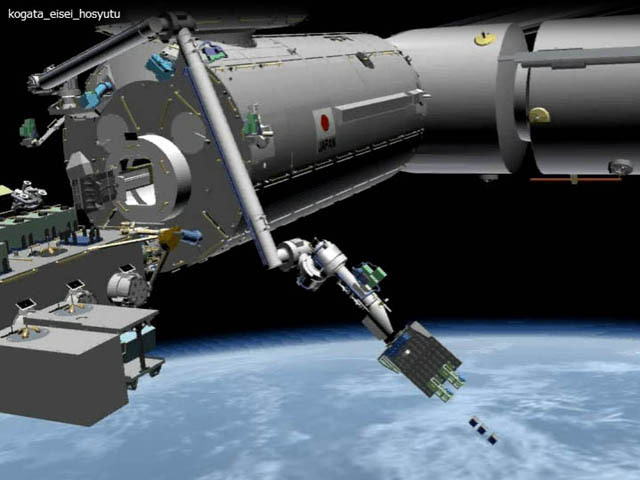 It is believed that the company Nanorack will be deploying a number of CubeSats from the ISS this year, they may also be going to the ISS on HTV-4. Aviation Week say Nanorack expects to launch as many as 38 of the units on the first mission. Since CubeSats can be 1U, 2U or 3U in size it’s likely that the number of CubeSats will be less than 38. A figure of 26 CubeSats has been quoted on the IARU amateur satellite frequency coordination page but it is unclear how many of those will be carrying amateur radio payloads. 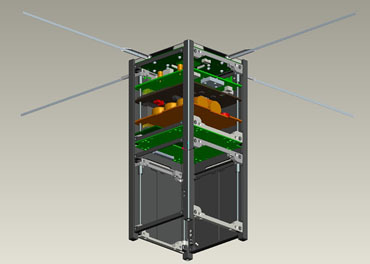 Also on the HTV-4 launch in August will be the HamVideo transmitter, part of the 2.4 GHz HamTV system. This will be installed in the ISS Columbus module. 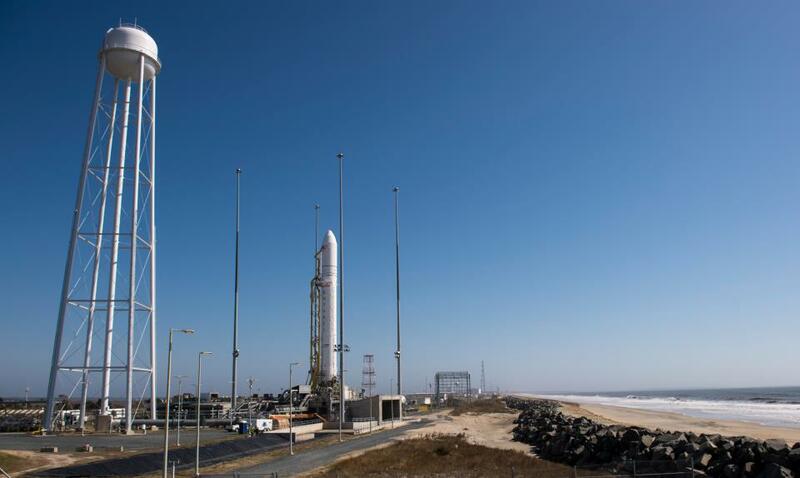 The launch of Antares carrying three CubeSats with amateur radio payloads is expected to take place on Wednesday, April 17. The three PhoneSats carry amateur radio payloads on 437.425 MHz, each transmits at intervals so all three should be receivable during a pass. The callsign will be KJ6KRW all three satellites will transmit using AFSK (1200 bps) modulation, AX.25 packet coding. The two PhoneSat 1.0 satellites, Graham and Bell, transmit with a periodicity of respectively 28 seconds and 30 seconds. The PhoneSat 2.0 beta satellite, Alexandre, transmits with a periodicity of 25 seconds. With a short lifetime of only about one week, the satellites have no solar cells and operate on battery only. An updated website with telemetry info is now available. Please note the launch date/time may change. The Antares launch includes the commercial DOVE-1 satellite, a technology development experiment. The satellite had requested IARU coordination for a 1 watt transmitter on 145.825 MHz to downlink a 1200 baud AFSK AX.25 beacon with telemetry and health data. The AMSAT News Service reported in ANS-027 that according to the IARU DOVE-1 will no longer be using frequencies in the amateur radio bands. EXA Announcement: Guayaquil, March 13, 2013. – The Ecuadorian satellites NEE-01 PEGASUS and NEE-02 KRYSAOR passed all qualification tests for space flight and launch vehicle integration for the Chinese and Russian rockets and are now ready to take off the Ecuadorian Civilian Space Agency – EXA reported. In February a joint team from the Ecuadorian government and EXA traveled to the Netherlands laboratories of spaceflight company ISIS / ISL who are managing the launch of the two CubeSats. NEE-01 and NEE-02 underwent qualification tests and passed these demanding tests smoothly. A certificate was issued regarding acceptance and qualification of the satellites. 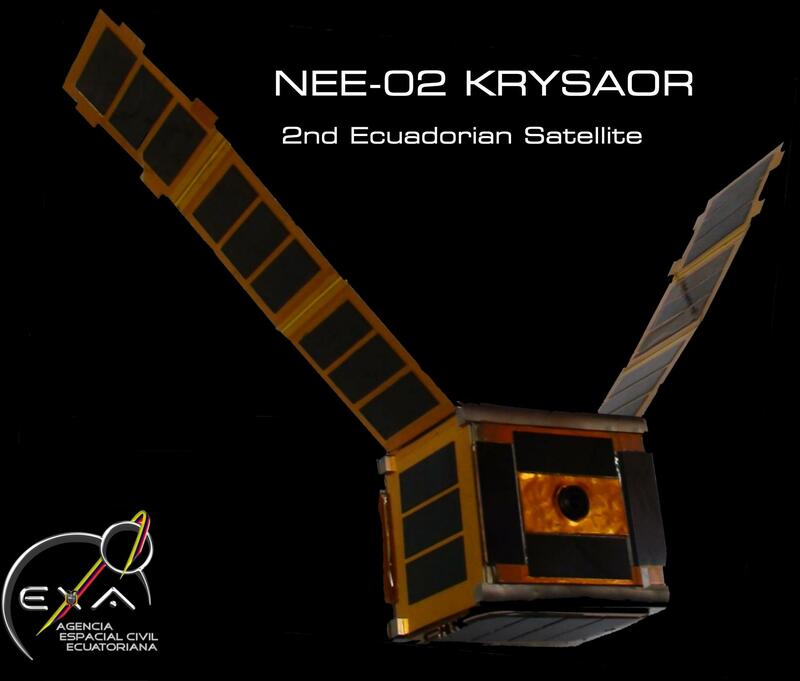 The EXA announcement said NEE-01 PEGASUS and NEE-02 KRYSAOR are the first CubeSats designed and developed entirely in Latin America, without help or support from abroad. 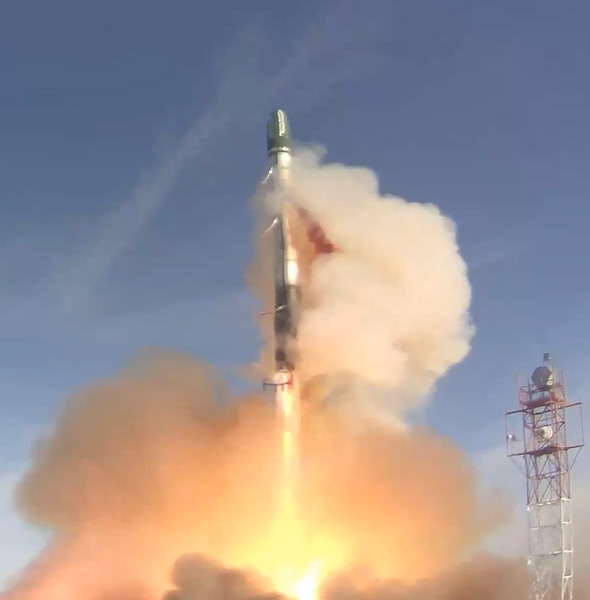 The launch of the NEE-01 had been scheduled for November last year aboard a Russian Dnepr rocket, but the launch was postponed to July this year, and it was decided to launch NEE-01 on a Chinese Long March CZ-2D rocket. The satellites had to meet the launch requirements of both vehicles, which was a skill level higher than previously achieved by the Ecuadorian engineers. Each CubeSat is just 10x10x10 cm (1U) and they have fold-out solar panels which give a total span of 70 cm. They will each carry a 0.9 watt output 720p HD TV transmitter and a beacon which will send a Morse Code ID, a SSTV image and Ecuador’s national anthem. It is understood that NEE-01 will operate on 910 MHz in the 33cm band, an amateur radio allocation in a number of countries, while NEE-02 will be on 980 MHz. Educational outreach is an important part of the project. The satellite signals will be received and decoded by the EXA HERMES-A ground station in Guayaquil and then uploaded live to the Internet using Facebook and Twitter; the first signal will contain text book questions and the second will contain an image related to the question. If the students are able to answer the question correctly they will be granted access to the video camera on board the spacecraft and will be able to see Earth from space as the astronauts see it in their space missions. More advanced students will have access to the pure radio signal so they can try decoding it by themselves. EXA indicate NEE-01 Pegasus is expected to launch on a Long March CZ-2D rocket from the Jiuquan Space Center on April 26 at 0413 UT and NEE-02 KRYSAOR on a Dnepr rocket from Dombarovsky near Yasny in the second half of July 2013.